Courtesy Dag Spicer, Computer History Museum. What makes a supercomputing switch worthy of a place in history? Supercomputers are the sports cars of the technology world: fast, glamorous, and expensive. This might be why Dag Spicer, senior curator at the Computer History Museum, finds them fascinating. Recently, Spicer and his team in Mountain View, CA, unanimously accepted a piece of the Texas Advanced Computing Center (TACC)'s history into their permanent historical collection — sealing its place as a milestone in computing. "We're always searching around the world for new, interesting, and important computing objects," Spicer said in a recent interview, "and TACC's Sun Microsystems 2007 Magnum switch was a critical part of high-performance computing (HPC) at that time in history. The TACC switch was the largest of its class and is an example of Infiniband technology, of which we had few examples." With more than 100,000 objects in its collection, the Computer History Museum is home to the largest collection of computers and related materials in the world. 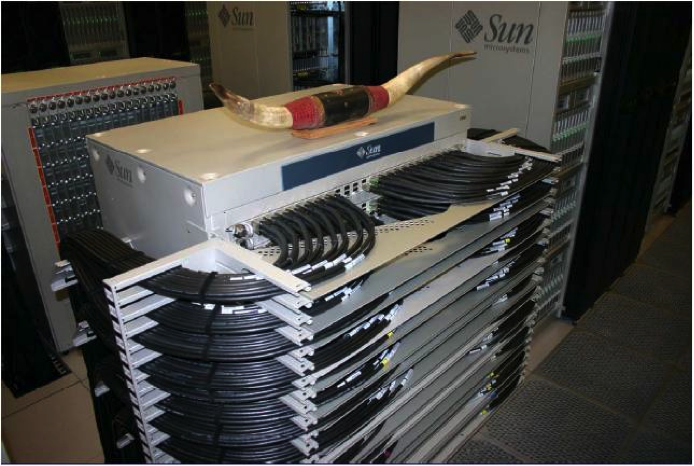 The Sun Microsystems Magnum Infiniband switch was part of TACC's Ranger supercomputer system, in effect connecting the tens of thousands of Ranger's processors together into a blazingly fast high-speed interconnected network. Specifically, Ranger was a network of 62,976 cores packed into 15,744 quad-core microprocessors. In 2008, the Ranger system was the first supercomputer in open science to approach the petascale performance mark at 579.4 teraflops — that's one thousand million million floating-point operations per second. At the time, the $59 million award to build the system was the largest single National Science Foundation (NSF) grant ever received by The University of Texas at Austin. Ranger debuted as the fifth most powerful computer in the world on the June 2008 Top 500 list, and it was hailed by the NSF as the most powerful supercomputing system in the world for open science research — up to 50,000 times more powerful than a PC at the time. Everything about Ranger was big — the idea, the award, the system, the desire to do bigger and better science. The technology that goes into a supercomputer is cutting-edge and impressive, but more importantly, supercomputers help solve the grand challenge problems facing society today and in the future ― problems such as global climate change, water resource management, new energy sources, natural disasters, new materials and manufacturing processes, tissue and organ engineering, patient-specific medical therapies, and drug design. 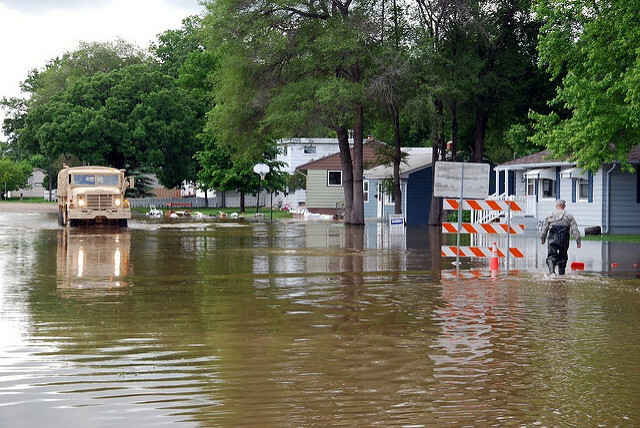 These issues cannot be addressed or overcome without computing modeling and simulation on HPC systems like Ranger and its follow-on systems. 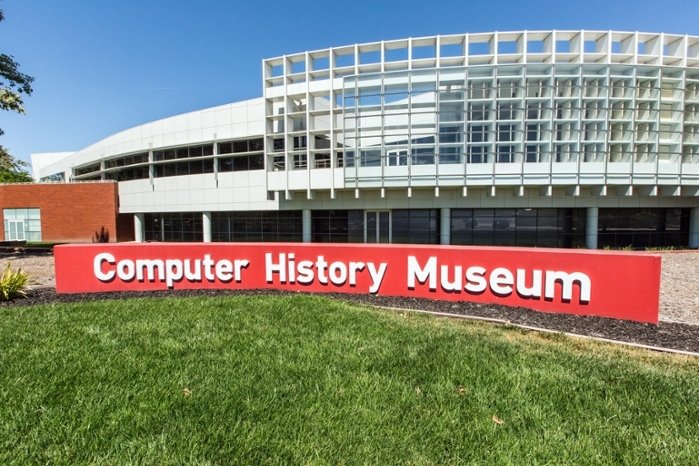 Founded in 1979 in Boston, but later moved to Mountain View in 1996, the Computer History Museum uses their collections to teach people about computing and the impact it has on nearly every aspect of their daily lives. "We talk about the social consequences of computers and we explain the objects in the context of their own time," Spicer says. For example, the museum has the world's first disk drive made by IBM in 1956. It held only five million 6-bit characters (about 3.75 megabytes), which is equivalent to a single, short song on an iPod. However, at the time, IBM's goal was to use this disk drive to replace punched cards. 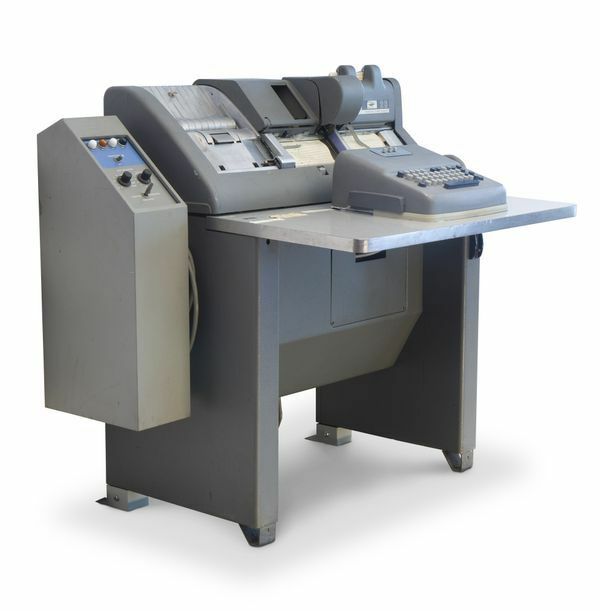 Until the mid-1970s, most computer access was via punched cards. "Context is everything," Spicer says. "Behind nearly every artifact, exhibit, and pioneering effort is a story that the museum is dedicated to understand and tell," says Gordon Bell, a pioneer in HPC and parallel computing and co-founder of the museum. "It's the world's only institution dedicated to the industry-wide preservation of information processing devices and documentation." The other co-founder is Ken Olson, founder of Digital Equipment Corporation. The company was a major American company in the computer industry from the 1950s to the 1990s and specialized in making minicomputers. In some ways, the museum founders and curators like to think 500 years into the future. "The last 70 years we've progressed from mechanical calculators to computers so fast they almost transcend human understanding," Spicer says. "And yet for the types of problems they are being asked to solve, they are never fast enough. What can we expect in just the next 20 years, let alone the next century? CHM exists to keep an object-based record of this stunning progress." Exascale computing, a billion billion calculations per second, is not a final goal in and of itself. Rather it is another stage in what has been a steady rocket blast in computing power since the 1970s. Such capacity represents a thousandfold increase over Ranger, the first "Path to Petascale" computer that came into operation in 2008. Experts say that the open science community may hit the exascale era by 2021. "I'm hoping we'll do a new exhibit here when that time comes," Spicer concludes, "as it will mark a milestone unimaginable to the original inventors of the computer and the culmination of decades of careful, incremental change." "In science, computing power equals discovery. Exascale computing will give us thrilling new ways of seeing the world and of solving the critical problems that humanity is facing right now."